I had some fantastic news and I hope it’ll go through, either way it’s a compliment and so encouraging. I’ve been approached to have one of my patterns taught as a class 🙂 I’m so happy about the potential this has and if it comes to fruition, I’ll share the details here for any who might like to participate. 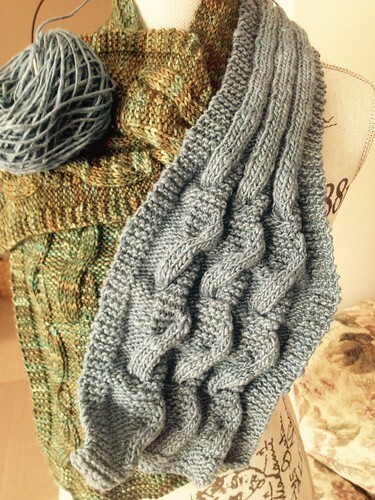 This entry was posted in KeiB Knitting & Crochet Patterns, Scaves and Cowls and tagged Cash Iroha, Classes, James Harris Scarf, KeiB Designs, Noro, Scarves, Test Knitting. Bookmark the permalink.